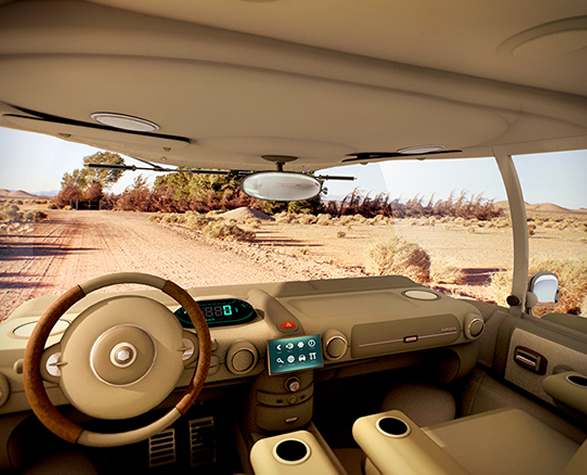 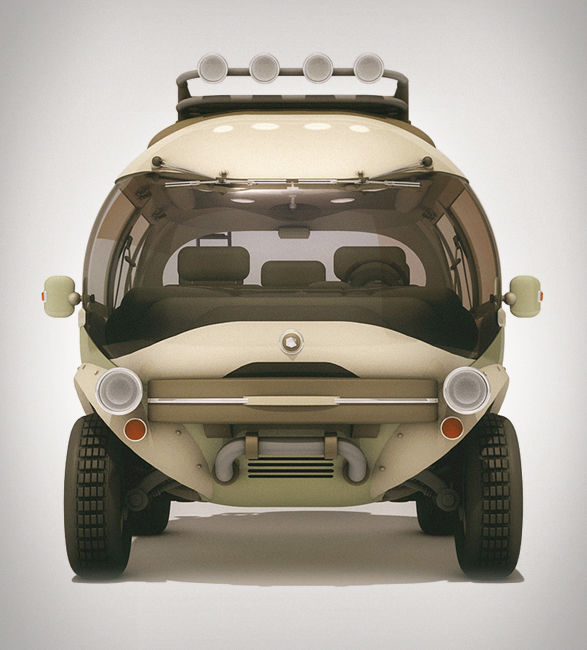 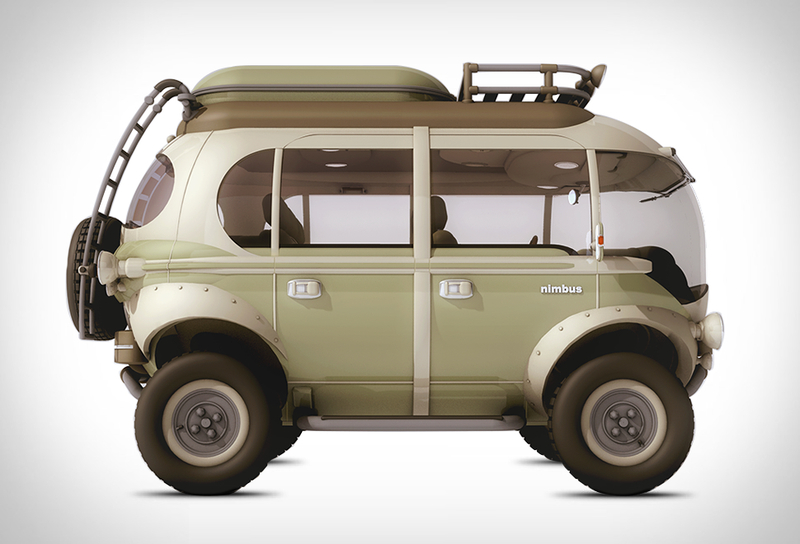 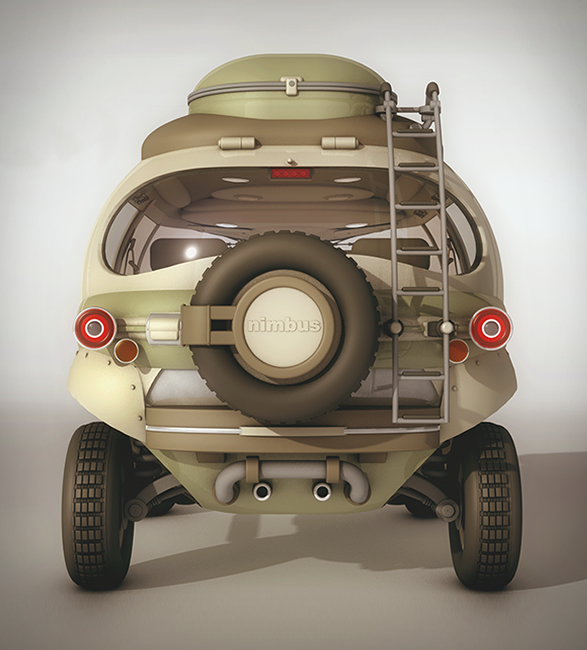 Nimbus is a concept e-car designed by Hemisferio Criativo, a design studio ran by Eduardo Galvani. 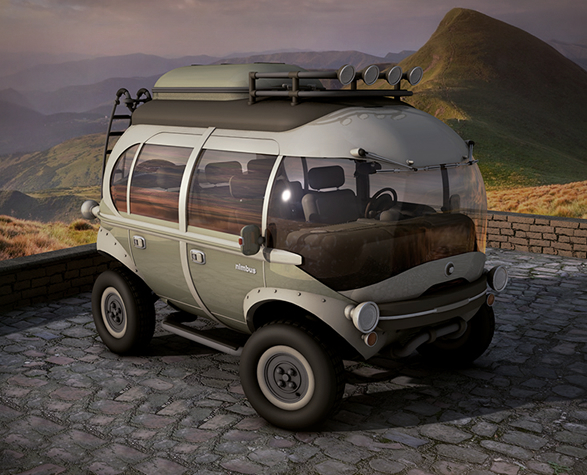 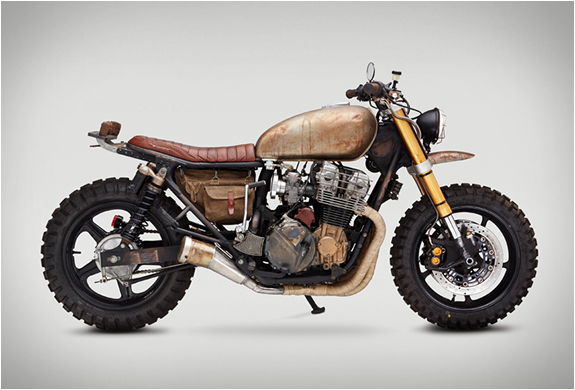 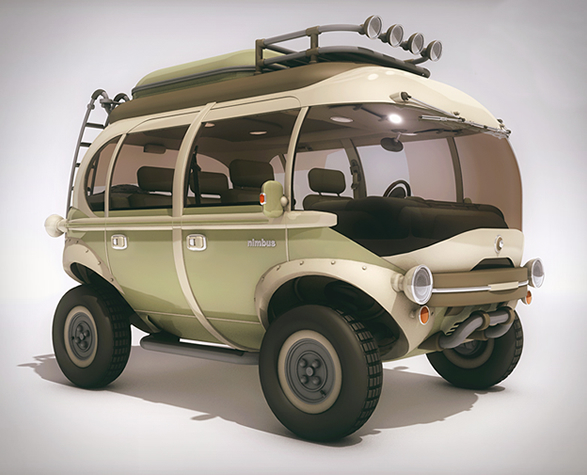 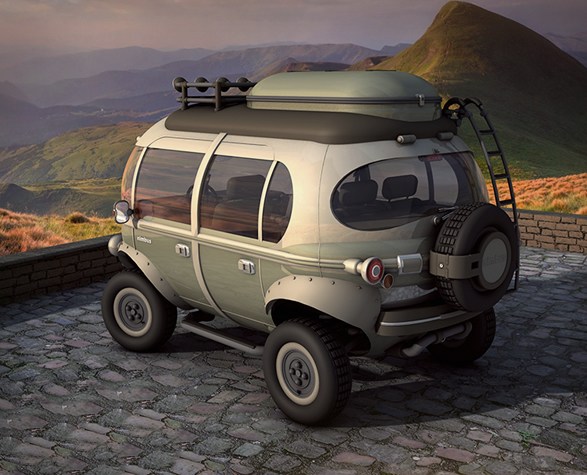 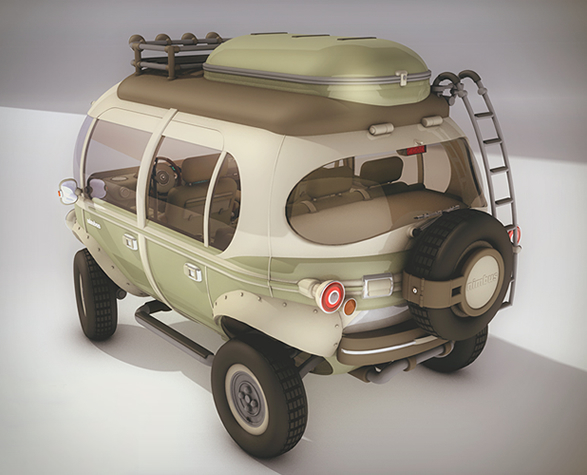 It is clearly inspired by the iconic VW bus, but has been designed to go a lot of places the VW couldn’t, like go off-road. 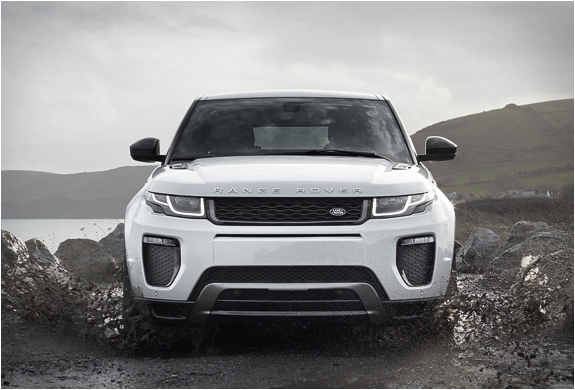 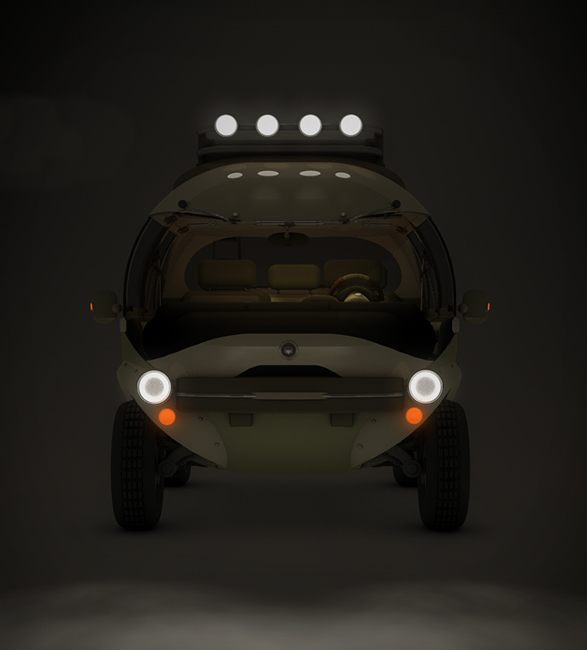 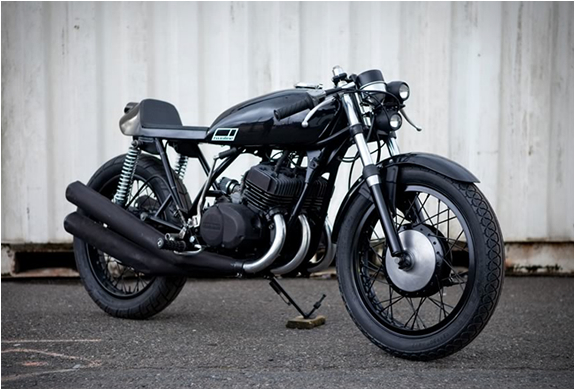 The unique hybrid is powered by a 180hp electric engine and lithium-ion battery to move around, and features a micro combustion generator, solar panels, and regenerative braking to keep it charged up. 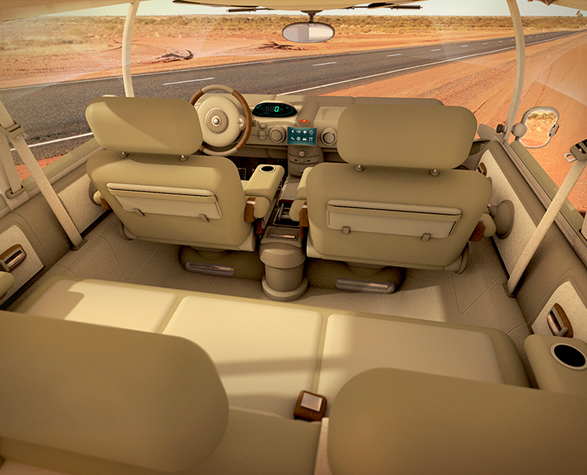 Panoramic windows, comfy stadium seats, climate control and top-of-the-line entertainment system make it the ultimate adventure van we´d love to see become reality.